Today I completed my grades for my university’s summer term, so I’m ready to breathe a big sign of relief and maybe celebrate a bit before I think about the next semester. 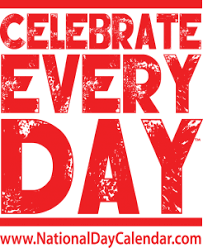 Maybe that’s why I was so intrigued by a recent article about the amazing variety of official (and semi-official) days we can celebrate, via the National Day Calendar. The calendar website bills itself as “the authoritative source for fun, unusual and unique National Days,” and it is hard to argue with them. 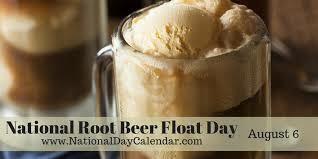 August 6, the day this posts, will be National Root Beer Float Day, National Fresh Breath Day, National Wiggle Your Toes Day, American Family Day, National Friendship Day, and National Sisters’ Day. Sounds like, at minimum, I’d better stock up on root beer and get ready to call my sister! As you can see above, each of the listed days has its own explanatory page, some more detailed than others. I had a little trouble with the back button not working well navigating the site, but it was worth a bit of fussing because it just made me smile. It occurred to me that working with the National Day Calendar website could make a great beginning-of-the-school-year writing assignment—way more fun than “What I Did on my Summer Vacation.” You could ask students to propose a National Day for something they care about. You’ll get to know your students better, and think of all the things you could have them practice. If you are teaching young children, using complete sentences to convey ideas. I’m sure there are more. You could make the assignment more discipline specific by requiring students to create a day honoring a particular person in history, an element of the periodic table, or even a mathematical operation. In any of these options students have a chance to practice creative thinking, particularly if you have them describe how their proposed day might be celebrated. Just how would you celebrate National Subtraction Day? If you start the school year off creatively, you send a message that such thinking is valued in school—surely and important way to begin the year. And here I am, thinking about fall already. . . . I might need one of the National Day Calendars for my office. « Talent Development and Curiosity: What Do We Do? And Why?